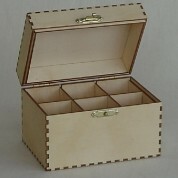 Lasersharp Engraving makes a variety of delicately made boxes. We use a number of different woods to produce intricate patterns. Special boxes in Jarrah or Blond wood. Made to accommodate three different sizes of aromatic oils. A variety of frames are available in Fretwork. These can be used for mirrors and picture frames. Window planters and garden planters available in Jarrah and Blond wood. Non-opening doors made to scale. They provide added dimensions to your room box without taking up space. Dado rails available in Jarrah or Blond wood. The laser cuts these to incredible thinness. 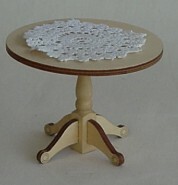 Ready for immediate use or can be stained or painted. Incredibly realistic wooden flooring is available in Jarrah and Blond wood. Sheets are made to your measurements, so there is no messy cutting. Available in kit form or ready to assemble. 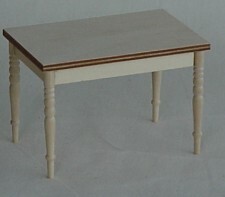 These can be stained or painted to your requirements. Available in Jarrah or Blond wood as pictured. 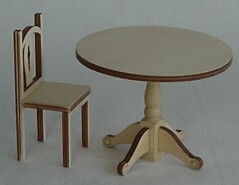 Tables are round or square.